When you were developing your law firm’s website, obviously you created it with your potential clients in mind. But no matter how thorough you were in developing your website, there will ALWAYS be visitors who peek around, feel their questions were unanswered, and disappear without you ever knowing they were there. And those lost leads? It’s like letting new clients slip right through your fingers. The best way to capture those leads and convert those visitors into clients is to address them in the moment, in real-time. But how do you do that? 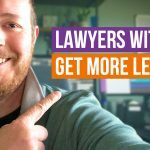 How can you connect with website visitors and ensure they’re getting everything they need in order to make the decision to work with your law firm? The best way to connect with your website visitors is through a chat box. 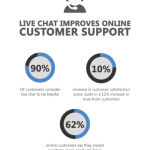 By adding live chat support to your website, you’re offering your potential clients a direct line to your office. A chat box works like this: user’s will see a pop up on your website, typically on the bottom of the page, staffed by a live chat manager. The chat manager will let visitors know if they have any questions or concerns, they’re available to help. Chat managers follow a script given to them by your firm, capture the lead’s contact information, and connect the lead to you or another attorney at your firm so you can chat one-on-one with the lead, answer any questions they may have, and convert those leads into clients for your practice. Chat boxes are a great tool for a number of business models, but they’re especially helpful for law firms. When you have a chat box option on your website, you’re going to enhance the user experience for your potential clients. Your website visitors are essentially shoppers; they’re in the market for a law firm. And shoppers, whether they’re shopping for a new pair of shoes or a new lawyer, are looking for convenience in their digital experience. The more hurdles they have to jump through, the less likely they’ll be to purchase. When a potential client is on your website, they want the convenience of having all of their questions and concerns addressed immediately. If they come across something they don’t understand or need clarified, they want the answer – and they want it now. By making a chat box available to connect with them in the immediate moment, you’re making the experience significantly more convenient than them having to put in the leg work to get in touch. Chat managers can gather their information and put them in touch with your firm – all without them having to lift a finger. 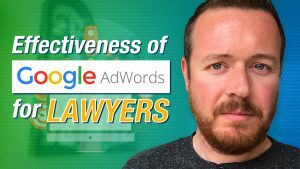 By giving them the opportunity to get what they need when they need it – and by managing the hassle of getting in touch with an attorney for them – you’ll create a much better user experience for your visitors, which will help you land more clients. Chat boxes can save you money by ensuring you only connect with the leads most likely to engage your firm’s services and don’t waste your time talking to people who aren’t the right fit for your practice. Part of the chat manager’s role is to collect information on the lead to determine it’s quality. Instead of filtering through leads yourself – and wasting time talking to people who need a different type of law firm or who live 2,000 miles away – the chat manager filters them for you. 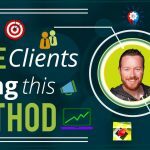 You’ll only get connected with valid leads that fit the criteria of your ideal client. Spending your time closing quality leads – and not wasting time with people who will never be clients – will save you and your firm time AND money. Now let’s talk about how chat boxes can make you money. Simply put, chat boxes allow you to capture leads quickly and easily that might have otherwise fallen through the cracks and never gotten in touch with your firm. By connecting with potential clients that likely would not have proactively reached out and immediately putting them in touch with you or another attorney at your firm, you’ll be able to convert a higher percentage of potential clients and bring more money into your firm (and that increase in conversions can be significant; when Wells Fargo implemented a chat box on their website, they saw a double digit increase in converted shoppers). Before chat boxes, you had a few options when it came to capturing leads. You could take a proactive stance and market to potential clients through advertising, email marketing, and other marketing channels. You could also take a more passive approach and wait for leads to come to you, whether through referral, your website, or through alternate marketing efforts. But with a chat box, you can capture a lead faster than any previous lead-generating strategy available. 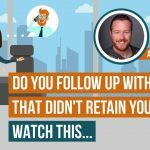 You have the ability to capture a warm lead who’s already checking out your website and get them on the phone with your firm in a matter of seconds. 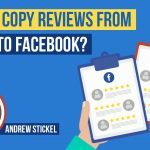 This immediate response allows you to capture and convert more leads than competing firms who aren’t leveraging chat boxes as a way to drive business. Adding a chat box to your law firm’s website is an easy and affordable way to create a better user experience for your website visitors, increase client interactions and conversions, and get a competitive edge by capturing leads faster and more efficiently than other firms in your area. If you don’t already have a chat box feature on your website, it’s time to get the ball (or in this case, the chat box) rolling.